It was a relatively uneventful week in northern Kentucky. With the top meet of the week getting moved due to weather, the action was not as deep as previously thought. The action for the girls was limited to a couple meets in the Chick-Fil-A Bearcat Clash, Dixie Heights Gold Medal Meet, and the HSW Tri which provided for some pretty solid matchups. The sprint events were led by Natalie Pope of St. Henry District and Kayla Harrison of Ryle. These two ladies have the top marks of the week int he 100m, 200m, and 400m. Harrison was the class of the 100m and 200m with times of 12.68 and 26.60 respectively with Pope coming in with the second best mark in both events for the week. On the 400m side of things, Pope reigned supreme with a best mark of 1:02.35. A familiar name popped up in the 800m rankings for week in Highlands' Maggie Schroeder. The returning class AA state cross country champion is ready to bring her winning ways to the track. She was 3rd in the 3200m last outdoor season and has started this outdoor season with an impressive 2:27.26 800m. Her Simon Kenton partner in crime on the distance side of things, Sophia DeLisio, was up to big things as well this week. 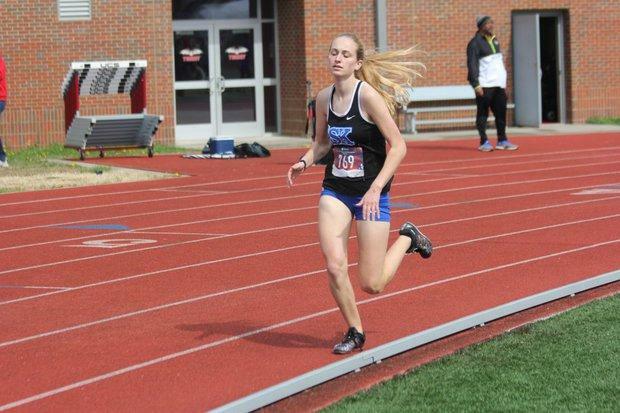 She led the Northern Kentucky Super Region in the 1600m and 3200m with marks of 5:33.91 and 12:14.71. Both of those coming at the GRC Heavy Metal Throw Down. Sophia DeLisio placed 5th at the GRC Heavy Metal Throw Down in the 3200m. On the hurdle side of things, the Dixie Heights Gold Medal Meet was the place to be. Emma Hopkins of Dixie Heights and Caroline Schilling of Beechwood won the 100m hurdles and 300m hurdles respectively while also taking the top spot on the weekly rankings. Schilling also had the third best time in the Northern Kentucky Super Region in the 100m hurdles to add to her 300m title. For the field, Brooklyn Hammons from Grant County out threw the rest of the region by over 4 feet in the shot put with a toss of 34'1" but was bested by Raelle Hill from Holmes in the discus. Hill threw 109'1" to Hammons' 106'6" to take the title at the Rob Marshall Gold Medal Meet and the top discus throw for the week in the Northern Kentucky Super Region. Tia Browning was the horizontal jump queen of the week. The St. Henry senior had the top mark in the long jump at 15'6.5" and triple jump going for 32'2.75". She ranks in the top 25 in both events at the state level and has added these events to her repertoire after last outdoor was solely focused on the high jump and pole vault. She placed 14th in the high jump and 9th in the pole vault at the class A state championship last May, and will look to get back to the UK track complex for four events this spring. Ryle's Quinn Eubank is currently ranked #2 in the state in the high jump and that mark came at the Chick-Fil-A Bearcat Clash with a leap of 5'2". The 7th grader is a fresh face and has already proven the ability to get those state level marks. This will be a fun young lady to watch as she climbs the ladder. The youth movement continued in the pole vault as freshman Lauren Kent of St. Henry had the top vault in the Northern Kentucky region with a vault of 9'0". To round out the week that was, the relays were a hodgepodge of teams. Ryle had the top mark in the 4x100m with a 51.40, Newport Central Catholic had the 4x200m in 1:52.58, Walton Verona had the 4x400m and 4x800m marks with a 4:22.13 and 10:26.26. The boys from Ryle went 1-2 in both the 100m dash and 200m with Derrin Carr leading the charge in both with his 11.18 100m and 22.38 200m performances. Behind him in the 100 was his teammate Leo Bouldin (11.35) and Elijah Cusick (22.99) for the 200 at the Chick-fil-A Bearcat Clash. In the 400m dash, Luke Summe of Covington Catholic made the trip down to GRC Heavy Metal Throwdown Invitational to place second with a 51.14 claiming the top mark in the NKY Super Region. In the hurdles, Austin Klosterman and Leo Bouldin took the top marks. Klosterman of Dayton captured the 110mH title at the Chick-fil-A Bearcat Clash with a 16.62, while Bouldin led the field through in the 300mH with a 41.21 at the Dixie Heights Gold Medal Meet bringing home another gold medal for his Ryle Raiders. The distance events were scattered with many strong performances from the boys of Connor. Peyton Fairchild and Will Hanak went 1-2 in the 1600 at the Chick-fil-A Bearcat Clash with Fairchild clocking a 4:34.34 and Hanak coming through 8 seconds behind with a 4:42.57. 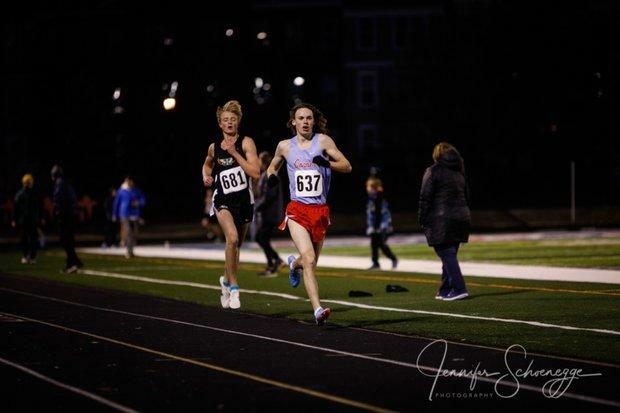 Fairchild also took the NKY lead in the 3200m with his 9:57 also at the Bearcat Clash. The top relays of the week were spread out across the board throughout the region. Ryle clocked the fastest 4x100m time with their 44.81 at the Bearcat Clash with their strong sprinters. Cooper led the boards in the 4x200m relay with a 1:33.99 also at the Bearcat Clash. The 4x400m relay title was claimed by the boys of Beechwood as they crossed the line at 3:32.95. Finally, the St. Henry boys clocked in at 8:27.86 for the fastest time of the week in the 4x800m relay at the Bearcat Clash. GRC Heavy Metal Throwdown hosted the top 2 marks for the discus with Devin Websters 146-1 and Jack Pitstick's 140-8 while Braden Bromwell threw for 43-11 in the shot put, earning the top weekly mark. Ryle's Leo Bouldin makes another apperance in the Long Jump with his 20-0.5 jump earning himself the second furthest mark, just being out-jumped by Dixie Heights' Tate Long with a 20-3 at his home meet. The top triple jump mark of the week was earned by Neil Green of Covington Catholic at the Rob Gold Medal Meet in Grant County. In the Vertical Jumps, two athletes topped the leaderboards in the High Jump with a 6-0 clearance, Nathan Joyce of Scott County and Holden Gerth of Simon Kenton. Last but not least, the pole vault was led by Dixie Heights' Alex Buckshire as he cleared 13-0 to earn NKY's top mark of the week.